In the framework of its charitable activities the JSC IUEC supports efforts aimed at preservation of unique historic, cultural and natural sites in regions which host nuclear industry facilities. 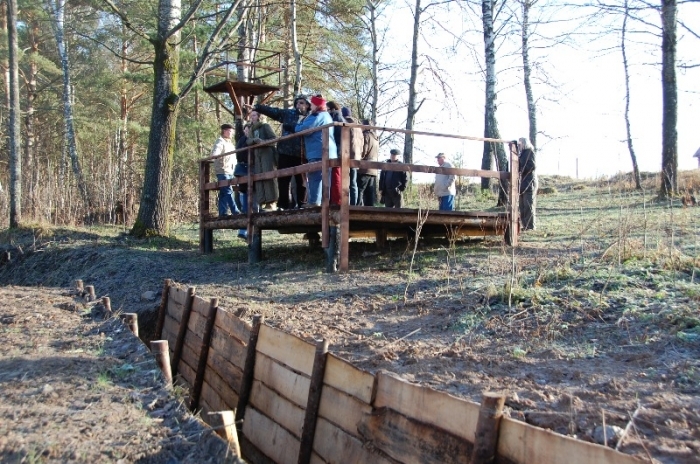 In 2012 the company provided assistance in reconstruction of a World War II battlefield, the War Memorial «Sukovskiy Foothold at the Ugra River in 1942-43» in the Ugra National Park. 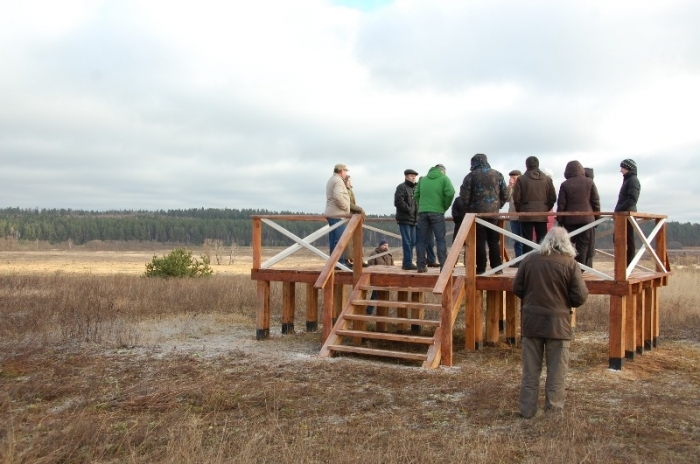 The staff of the National Park reconstructed the historic sight of the place, i.e. 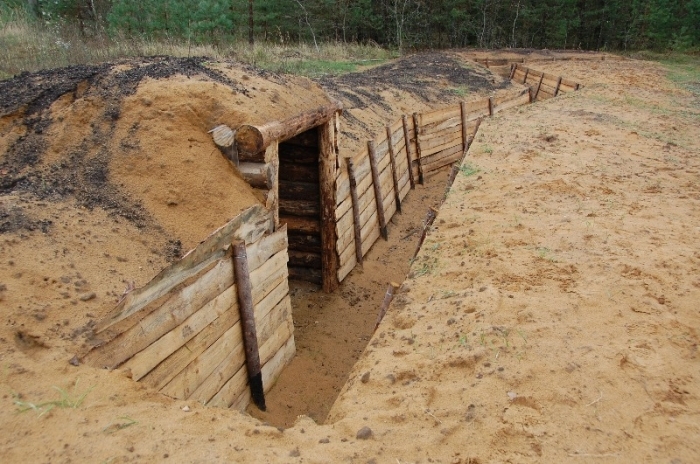 rebuilt scenery spots on positions of the Soviet troops, including the observation post providing a panoramic view of the place, and a part of the defense trench. The German defense facilities were also rebuilt to include the defense fence and two concealed firing points. Information boards depicting the events and showing combat maps were installed. 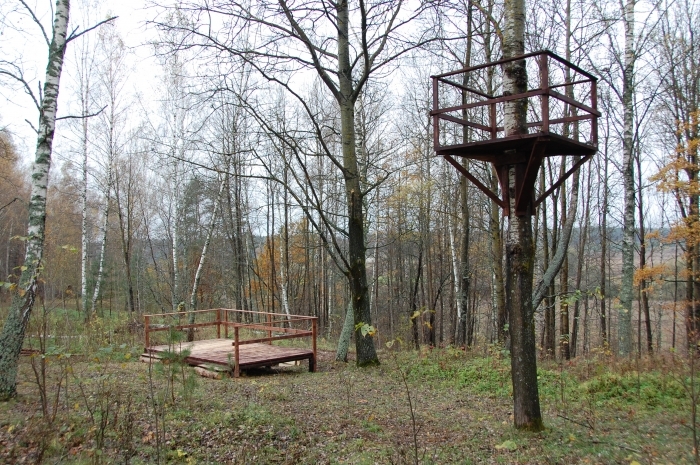 The Sukovskiy Foothold is a memory place of the World War II. It is located in Kaluga Region in the Ugra National Park 8 kilometers from the town of Yukhnov, near villages Shukleevo and Sukovki. During the period of March 6-31, 1942, detachments of the 49th army of general-lieutenant I.G. Zakharkin were fighting to break through the Nazi’s fortified line at the river’s the Ressa and the Ugra. The Soviet troops seized a foothold upon the conflux of these rivers, which was named «Sukovskiy». The Soviet advancement was hindered and main forces of combating sides took positions along the river’s the Ugra and the Ressa. The stronghold of the Soviet troops was the site of combats and artillery exchanges up to the general retreat of the enemy that happened only on March 8, 1943. Sukovka village is situated in a field that extends to 2 kilometers. The field was covered by a network of the Nazi fortifications. The foothold of the Soviet troops included just the river flood land and slope to the hill held by the enemy. The extensive network of trenches was destroyed in the 1980s by irrigation works; however, its fragments remain at woodland sides. 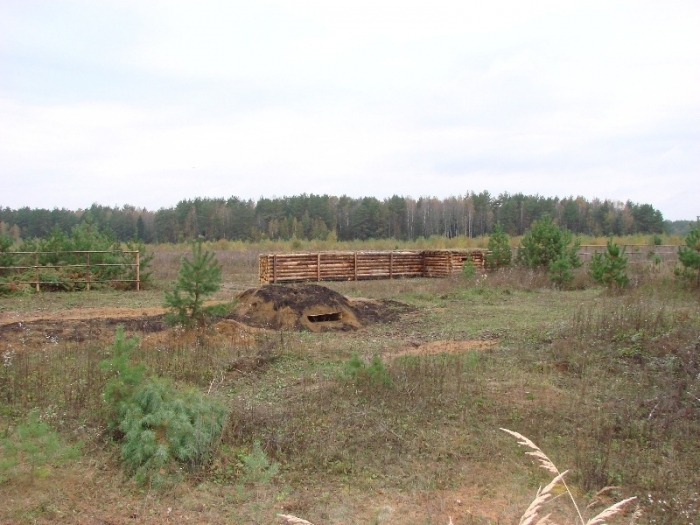 In the field, which is abandoned at this time, there is a mass grave of the Soviet soldiers. 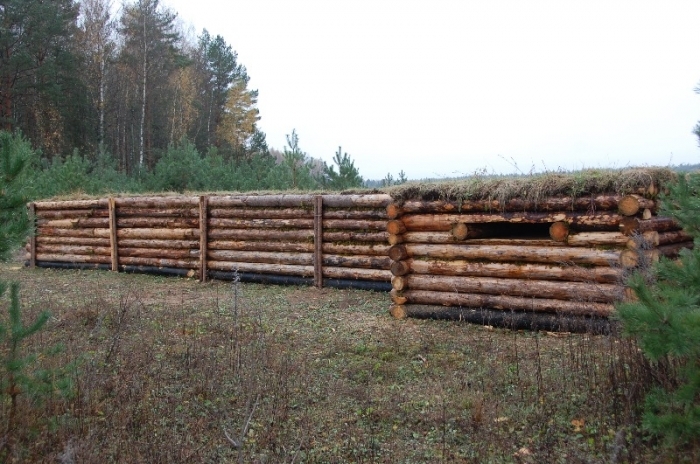 The Nazi’s positions adjoin unique monuments – underground shelters built of wood treated with an antiseptic solution. In March 1942 the Red Army’s detachments were advancing through this open space digging trenches in deep snow cover. Most of the Soviet foothold was in lowlands and protected but its frontline was within the sight range of enemy spotters. The village of Sukovka turned out to be divided by the combating parties. In the period of protracted trench combats both sides practiced raids on their enemy positions and direct point shelling. (On May 21 senior lieutenant P.D. Khrenov sent a «shell-on-me» signal to suppress a Nazi’s group that had broken through the foothold. He was awarded the title of the Hero of the Soviet Union for this act of bravery). In September 1942 just in overnight the Soviet troops approached their trenches right up to the enemy forcing it to retreat 200 meters and lose the field of search of the main positions of the «Russians» situated beyond the Ressa and the Ugra rivers.